A growing interest in all things digital for the home has created a new trade, one that is growing in prominence: the communications wiring installer. Installers of the structured-wiring infrastructure for communications networks throughout the home are joining the ranks of traditional tradespersons such as plumbers, electricians and remodelers. 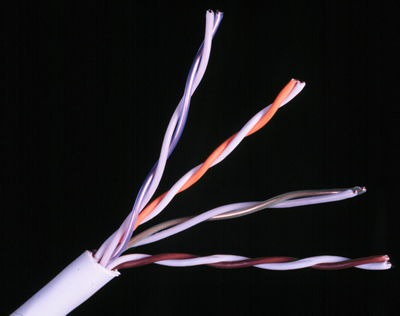 Communications wiring, otherwise known as structured wiring, is far more capable than the old-style telephone wiring it replaces. Structured wiring spreads out like the points of a star from a central distribution device, or CDD, which serves as a "nerve center" for the intelligent home. Thanks to structured wiring, home entertainment systems, whole house audio, multiple Internet access points, media centers and digital audio and video storage systems are now all within reach of the average homeowner. These applications require high-capacity, high-speed wiring that can handle their electronic output, and inadequate wiring presents obstacles to the use of this digital paraphernalia. Enter the structured wiring installer. This career path combines traditional tradesman skills with knowledge of computer networking and home entertainment systems. "This business is especially attractive to entrepreneurs, because it can easily expand into related enterprises," says John Cowie, communications wiring manager of the Copper Development Association (CDA). "There are many add-ons, options and accessories that can quickly turn a basic structured wiring system into a very complex network, and most homeowners prefer to hire a professional rather than attempt it themselves." According to Cowie, some installers also sell in-the-wall electronics, flat panel HDTVs and computer networks, not to mention monitoring and security systems and home automation. There are opportunities for those who just want to focus on structured wiring installation, as well as for remodelers who want to add to their repertoire of services. Fortunately, there are many training tools and organizations with resources to help would-be installers master the basic skills and technologies. For anyone serious about joining the ranks of installers, a useful resource is the Building Industry Consulting Service International, better known as BICSI. It provides courses, testing and credentials that can help those who want to advance their career in communications wiring installation. Another useful resource is the Custom Electronic Design & Installation Association, an international trade association of companies that specialize in designing and installing electronic systems for the home. The Copper Development Association also offers a CD-ROM titled "Structured Wiring for Today's Home: Installer Edition." Ordering information for this free guide can be found in the Telecommunications Publications List. Be sure to request the Installer Edition when ordering.